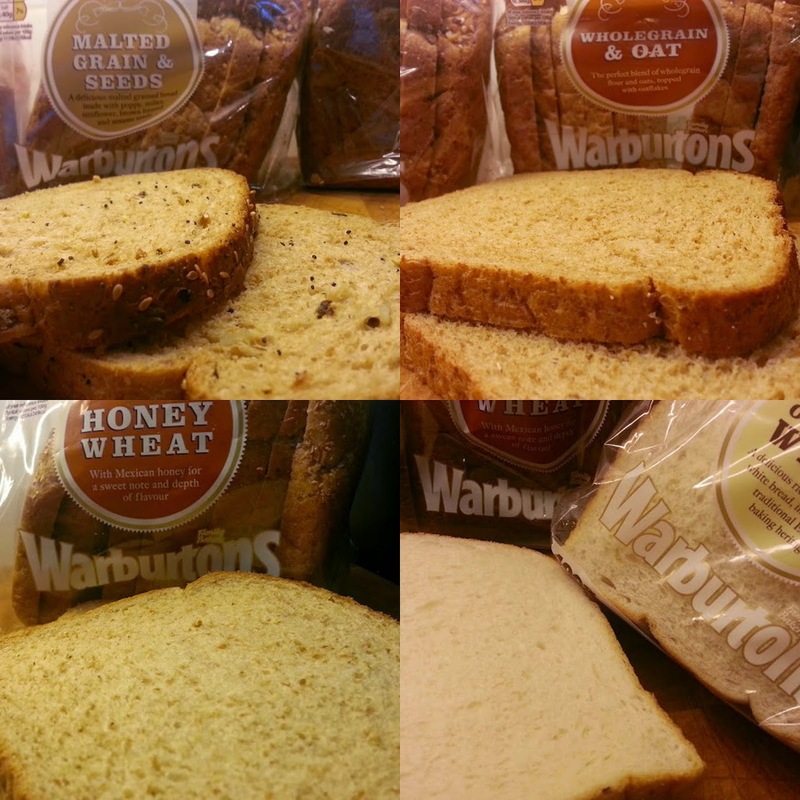 The Brick Castle: Extra Special Loaves from Warburtons. 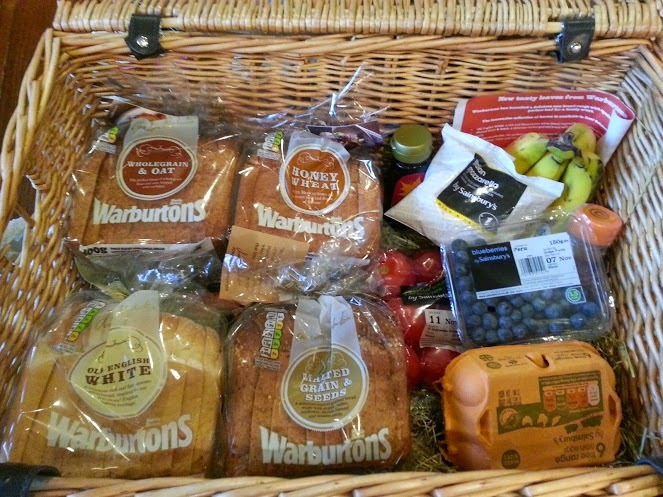 Warburtons are very nice to their bloggers, and I have to say I felt a bit spoilt when a hamper arrived the other day full of interesting goodies so that we could try their new range of four Extra Special Loaves. Malted Grain & Seeds is my favourite. A really nice bread with good grains and seeds - no sticks or huge chewy bits. It's really light and makes gorgeous toast. Wholegrain & Oat is my partner's favourite. 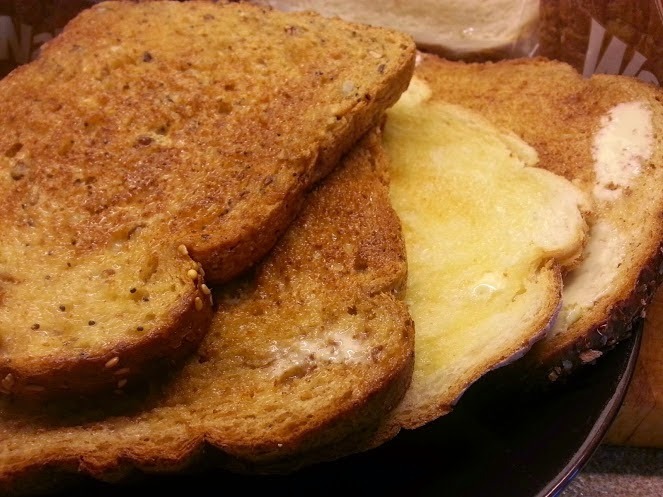 Although tasty, it doesn't overpower your filling, and is a lighter bread than the Honey Wheat. Honey Wheat has a hint of honey sweetness and has a rich, full taste of it's own. It's a really quite heavy bread. It suits mature cheese and pickle perfectly, but likewise makes great jammy toast. Old English White is a yeasty Farmhouse style white loaf, still with a soft crust, but a stronger flavour more like home-made bread. My partner likes them all, but says that for Sunday breakfast none of them beat bacon and maple syrup on a Warburton's crumpet! 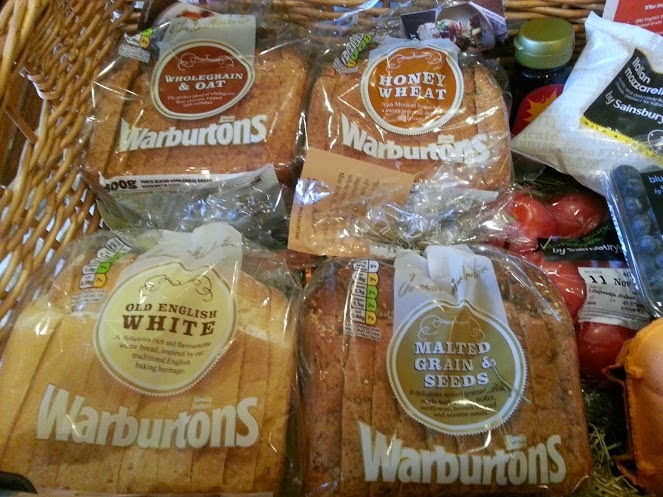 Warburton's new Extra Special Loaves are coming to a supermarket near you and make a really nice and tasty change from regular white or wholemeal bread. They're already on sale in Ocado online at £1.39 for a 400g loaf. Warburtons regularly have special offers and promotions, right now you can get your hands on free cinema tickets - to keep up with the action on their Facebook page. 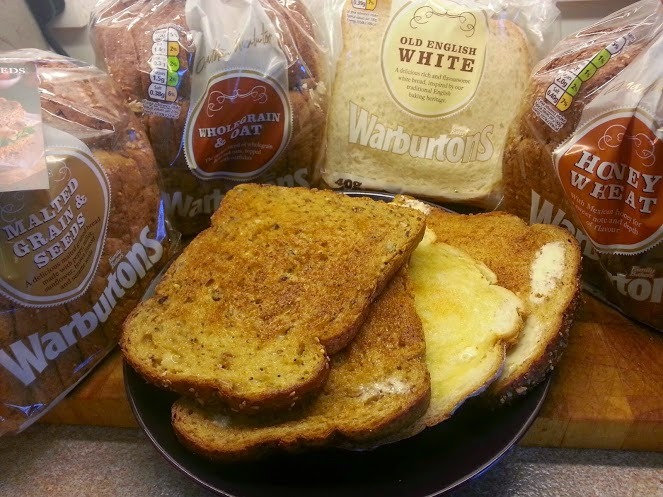 I do love Warburtons breads and the thins - that crumpet looks scrumptious! Had not seen them before. They look so yummy! Bacon and maple syrup on a crumpet. I'm hungry now! Scrummy, they sound great. 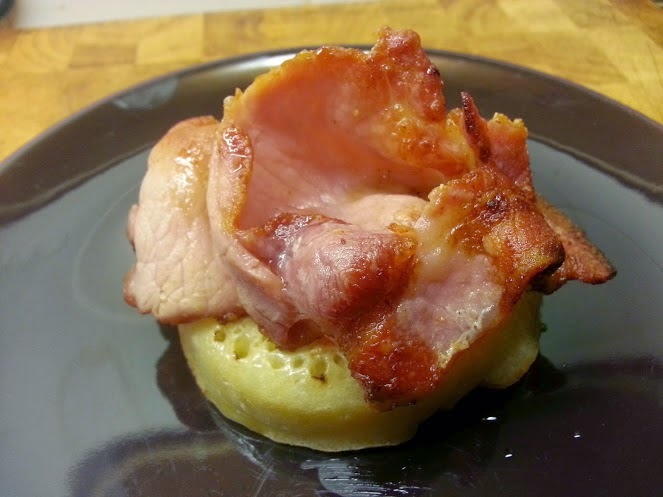 I have never though of having bacon and syrup on top of a crumpet but will have to give that a try!